On February 15th, Netflix released a new original called The Umbrella Academy. This show is a live adaptation of its comic book series with the same name and one season. It’s creator is singer Gerad Way from My Chemical Romance. The series begins in 1989. 43 women give birth on the same day despite not having any symptoms of pregnancy beforehand. Billionaire, Reginald Hargreeves adopts seven of the children, only six coming up with super powers. 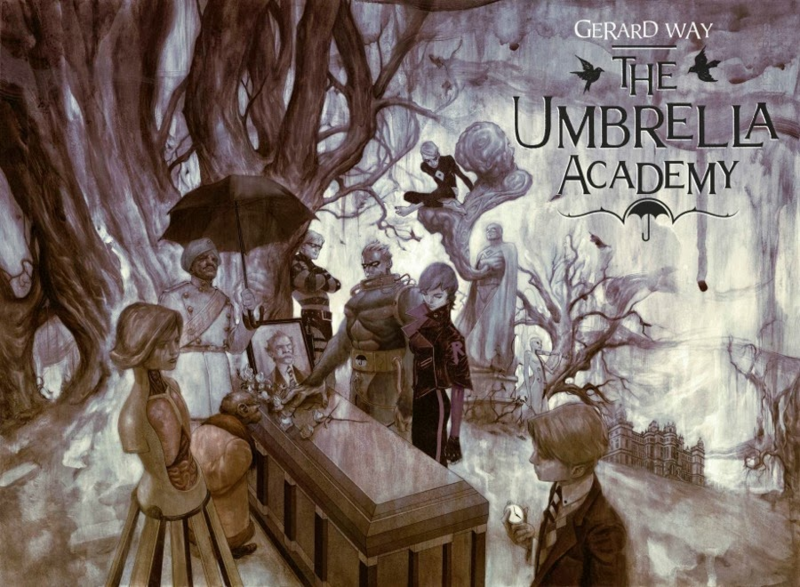 He opens The Umbrella Academy preparing his children to save the world one day. Fast forward to present 2019, the academy has dismembered. The death of Reginald brings the remaining six back together to solve the mystery around their father’s death. Multiple times in the show it’s shown that Reginald mistreated the children, naming them in the order he found them numerically. All he cares about is their powers not who they are as a person. Each member struggles with this neglect, even as adults. With a robot as a mother and a monkey as a friend to the family, saying they’re dysfunctional is an understatement. The Umbrella Academy does a good job of covering plot holes, everything coming back full circle. The only problem would be its explanation of time travelling. It does the lazy thing of leaving it defined as “a tricky thing.” This confuses the audience. Those who enjoy content from Marvel, DC or just action-packed series in general will enjoy this TV show.